RSS (Really Simple Syndication) feeds allow you to read through fresh content from your favorite websites (like news headlines) at your own convenience. RSS allows you to see when sites from all over the internet have added new content. You can get the latest headlines and articles in one place, as soon as they are published, without having to remember to visit each site every day. There are three basic ways to receive updates from MCC via RSS Feeds. You can use a web browser with a built-in Reader, you can use a Reader application, or you can have updates sent to your email inbox. Most recent web browsers come with built-in RSS readers and the feed updates would display in a drop down style menu displaying the title of the news items, which when click upon direct users to the full-length news update. Open our RSS Feed (XML Format) link in your favorite browser. Subscribe to our feed (click the "Subscribe Now" button in Firefox, click the "Subscribe to this feed" link in Internet Explorer, add to your feed in Safari, etc.). Choose where to save your subscription to... the Bookmarks Toolbar is always a good spot. 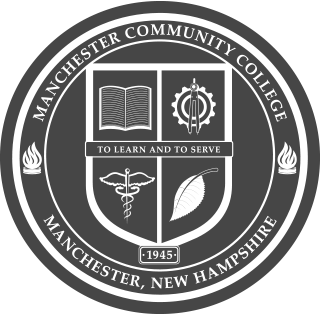 Enjoy news updates from MCC! Another way to receive RSS Feed updates is through stand-alone desktop applications. Below are some of the more popular desktop applications. Open our RSS Feed link. In the top right hand corner you will see the "Subscribe Now!" box. Click any of the options that suite you best. We will pick the Google button for this example. Google offers two ways to get updates from MCC (homepage or Reader), we will choose the "Add to Google Reader" button. Login to your Google Account and follow the addition steps/configurations as described. Open our RSS Feed Updates via Email link. Enter your email address and verify the anti-spam code. A confirmation email will be automatically sent to you, click the link inside. Enjoy news updates from MCC straight to your inbox! Please note that these links are provided solely as a convenience to you and not as an endorsement by Manchester Community College of the contents of the listed third-party websites.